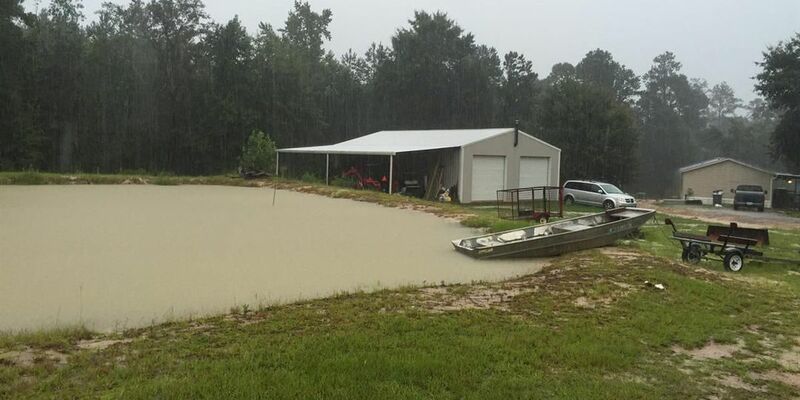 WIGGINS, MS (WDAM) - Flash flooding swept through the Wiggins and Lumberton area Monday morning. Rainfall estimates show that Lumberton received anywhere from four to seven inches of rain from 5 a.m. to noon,. Wiggins estimated around six to eight inches. One neighbor in Carnes said she left out a paint bucket, yesterday and it was filled within hours. Roads were flooded and water alongside the roads turned into small streams. National Weather Service says if you experience flash flooding, do not drive through the waters and move to higher ground.